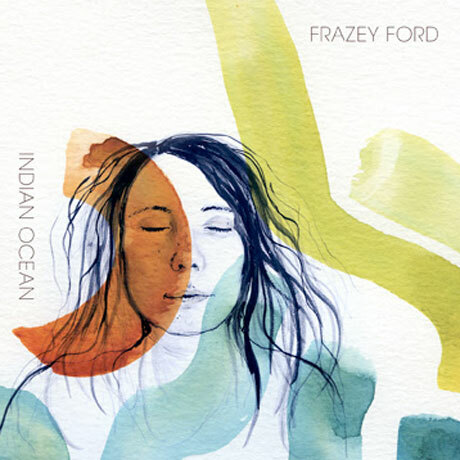 It's been four long years since singer-songwriter Frazey Ford graced the world with a full-length album. Indian Ocean is the followup to her critically acclaimed debut (2010's Obadiah), and it follows in the same gospel-soul vein, but this time around Ford's tunes had a boost from some of the masters of soul in the heart of Memphis, Tennessee: Al Green's band, the Hi Rhythm Section. Indian Ocean is textured with organ undertones, punchy horn sections and laid-back bass lines. And of course, overtop is Ford's instantly recognizable voice, with its delicate power, warped vowels and quaintly disrupted diction. Underneath it all, there exists a driving acoustic guitar, showing shades of her folk roots as one of the founding members of the Be Good Tanyas. The album kicks off with the upbeat "September Fields," which has a retro Motown feel, and then becomes reminiscent of Stevie Wonder, with a faux gospel choir on the mellower "Runnin'." The carefully crafted words (those that are recognizable, that is, thanks to Ford's uniquely distorted singing style), match the groove of the album. Ford speaks of pain and the hope of moving on ("I fall for my own victories" on "Done" and "Welcome to the end of our trials" on "Three Golden Trees"). She also steps into some traditional Christian imagery on the track "You Got Religion" ("Stand in your garden/Rain coming down"). But it's the album's title track, running over six minutes long, that really speaks to the soothing nature of Indian Ocean. With minimalist lyrics, easy-going beats and subdued horns, Ford's songwriting and voice shine through, tempting to you to press the repeat button.